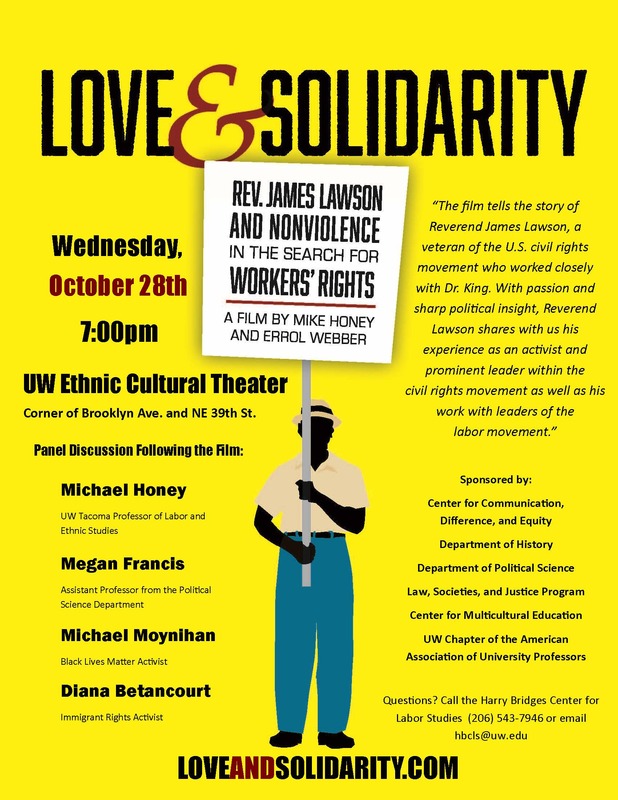 UW Tacoma professor Michael Honey screened his documentary film, “Love and Solidarity: Rev. James Lawson and Nonviolence in the Search for Workers’ Rights” in the Ethnic Cultural Center (ECC). The focus of the film is the life of Rev. James Lawson and how his work in the nonviolence movement relates to civil rights struggles present today. 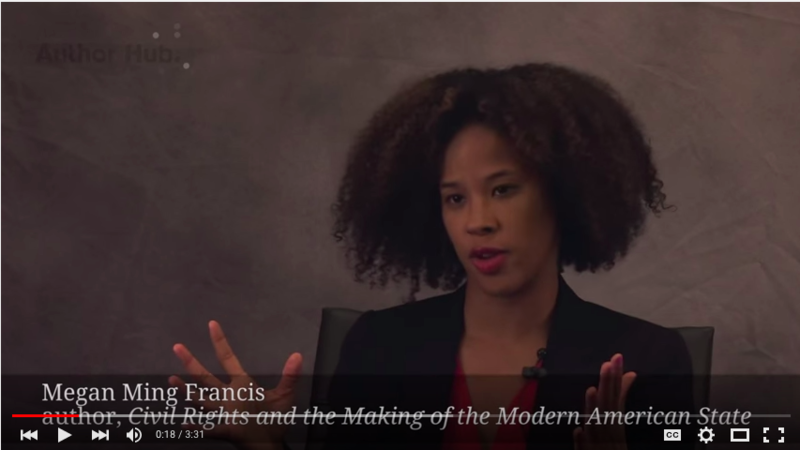 Following the screening of the film in the ECC, assistant professor of political science Megan Ming Francis, Black Lives Matter activist Michael Moynihan, immigrant rights activist Diana Betancourt, and Honey discussed the film with the audience. Excellent documentary and trailer can be found at the bottom of this link and link to full 38min documentary can be found here— go watch!